St. Patrick Roman Catholic Church serves the spiritual, sacramental, liturgical and other needs of the Catholic community in and around the Smithtown area of Suffolk County on the north shore of Long Island, located midway between New York City and the eastern tip of Long Island. 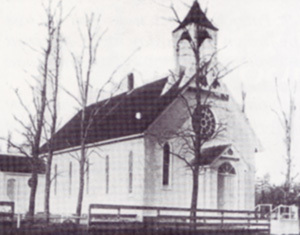 The parish first took root in the Hauppauge/Smithtown area in the mid-1830’s. From the first few founding Catholic families, the parish began to grow rapidly. Mass was first held, very much like the earliest Christians, in local farmhouses. 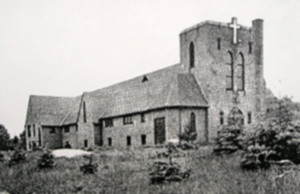 Originally a ‘mission church,” St. Patrick’s became a full parish in 1952, and moved to our current location in 1966. The new location provided ample space for a church, rectory, school, convent, athletic fields and ample parking to accommodate the needs of the ever growing number of new suburban families moving to Smithtown. Our church and parish have a very rich history which includes its very small beginnings, harassment by the Ku Klux Klan, devastating fires, and explosive growth. To read a more complete history, please see the parish history write up available on this page. Today, the parish supports a vibrant community and offers many services to our parishioners and neighbors. Msgr. Ellsworth Walden is our current pastor. He and the associate priests provide the parish with excellent pastoral care along with all the staff at the rectory, the nerve hub of the parish. Other priests living at the rectory, serve as chaplains at St. Catherine’s Hospital in Smithtown, and area nursing homes. Parish Outreach, also housed in the rectory, provides for the physical, emotional and spiritual needs of all who are in need. If there is a need for food and household supplies, or support after the loss of a loved one, or support and encouragement to meet the challenge overcoming addictions - Outreach is there. Education of our children is a primary goal at St. Patrick parish. The Sisters of St. Joseph took up residence in convent during the 1960s and transformed our then new school building into a center for scholastic and spiritual learning. The school building also housed our church (in the current gymnasium) for many decades until the stand-alone church could be completed in 2003. This sharing of space has formed a close bond between the school and the parishioners that continues to exist and flourish to this day. The school teaches children from nursery to 8th grade. Our Religious Formation Center, housed in a separate building, located behind the school, imparts our faith to all the children of the parish who do not attend St. Patrick School. They take their teaching ministry very seriously as they guide our young ones through the sacraments a firm understanding of our faith, and a deeper love of our Lord. The school also houses a vibrant Youth Community. The Youth Office can be accessed through the doors under the large main gable of the school building. The Youth Community serves the needs of all our children. Programs exist for every age group ranging from toddlers to high schoolers. Programs range from music to sports to spiritual and educational offerings. More than 3,000 children are served by this ministry which strives to have them grow in their knowledge and experience the love of Christ. St. Patrick Parish also consists of a variety of parish organizations and ministries which seek to praise and serve our Lord Jesus Christ and to enrich our parish and community in a multitude of ways. To learn more, please explore our website or contact us at rectory@stpatricksmithtown.org or by phone at 631-265-2271. After 60 years as a parish and many more as a church, we take a look back at our history.